Report: Iran signs major gas deal with France's Total - IRAN This Way: Become familiar with Iranian lifestyle! Iran signed a deal with France‘s Total on Tuesday to develop a major offshore gas field — its first big contract with a Western energy firm since sanctions were lifted in January. 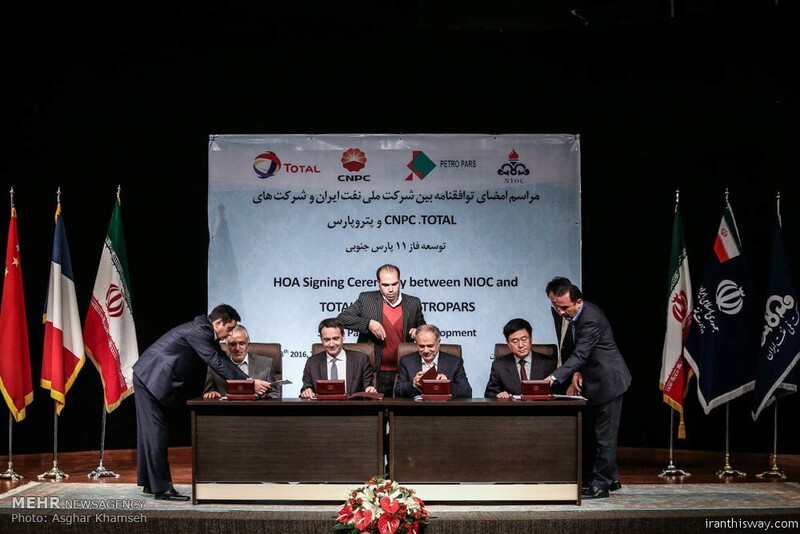 Total will lead a consortium, which will also include China National Petroleum Corporation (CNPC) and Iran’s Petropars, to develop Phase 11 of the South Pars field under a 20-year contract worth $4.8 billion (€4.3 billion), AFP reported. The project will eventually supply 50.9 million cubic meters of gas per day into Iran’s national grid, and marks a breakthrough in the Oil Ministry’s efforts to attract Western investment and know-how to improve its outdated energy infrastructure. 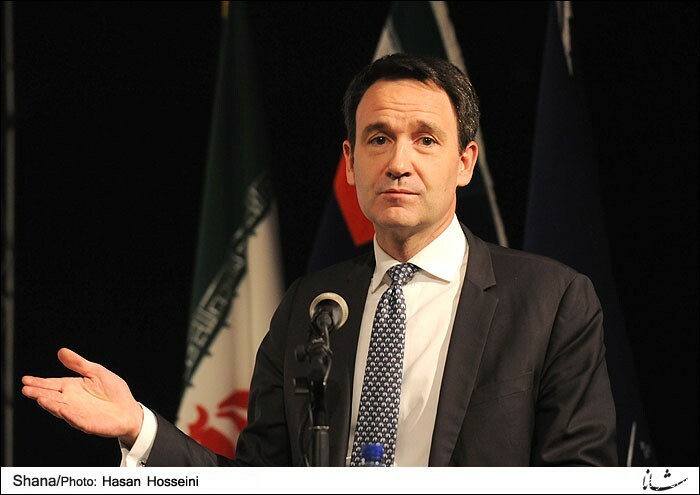 The companies involved signed a memorandum of understanding in Tehran on Tuesday, and the final agreement will be inked early next year, said head of Total’s Middle East exploration and production, Stephane Michel. It is the first deal of its kind since most international sanctions on Iran were lifted in January under a nuclear deal with world powers. Iran’s Deputy Oil Minister Amir Hossein Zamani-Nia said another major deal with a European company would be signed “in two to three weeks”. Tuesday’s signing represents Total’s return to Iran, which has the largest gas reserves and fourth-largest oil reserves in the world. Total helped develop phases two and three of South Pars, but effectively left Iran four years ago when France joined European Union partners in imposing sanctions, including an oil embargo. “We’re the first Western major to return to Iran. We’re very happy,” Total Chairman Patrick Pouyanne told AFP. “It’s important because it’s always when we innovate and when we are first that we score points,” he added. 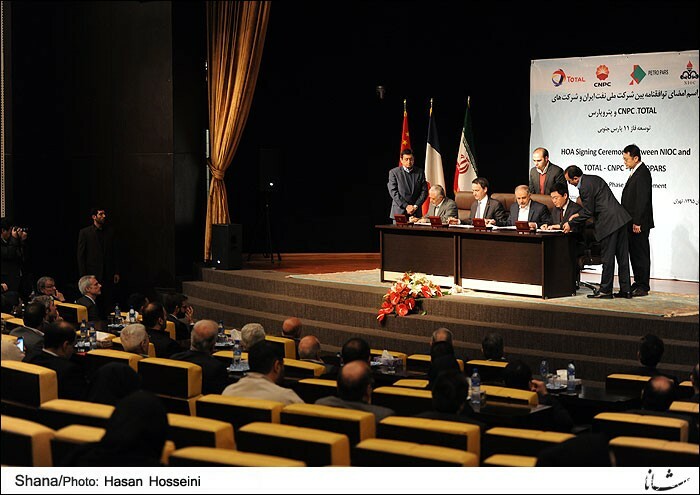 Iran’s Oil Minister Bijan Namdar Zanganeh thanked Total and CNPC for working with Iran despite ‘difficult conditions’. “I hope the international companies that are still hesitating to come to Iran will be encouraged to take the leap,” he said. The South Pars field in the heart of the Persian Gulf is shared by Iran and Qatar, and contains some 14 trillion cubic meters of gas or eight percent of the world’s known reserves. “It’s a field we know well because we produce on the Qatar side,” Pouyanne said. He said there would be none of the banking problems that have bedeviled recent trade deals with Iran, because Total would use its own cash. Despite the nuclear deal, the United States has maintained a raft of other sanctions, leaving global banks fearful they could still face massive fines for doing business with the Islamic Republic. Nonetheless, Tehran has been inundated by trade delegations from Europe in recent months. France has led the way, with major deals already lined up for Peugeot and Renault. Total first signed an agreement in 2004 to develop Phase 11 and a gas plant at South Pars, but it was never finalized. Under the new deal, Total will control 50.1 percent of the consortium, with CNPC taking a 30 percent stake and Petropars 19.9 percent. The first phase will cost around $2 billion and consist of 30 wells and two well-head platforms connected to existing onshore treatment facilities. Iranian officials announced last month that they would invite the first tenders for oil projects within two months and that foreign firms would be allowed to take lead roles. 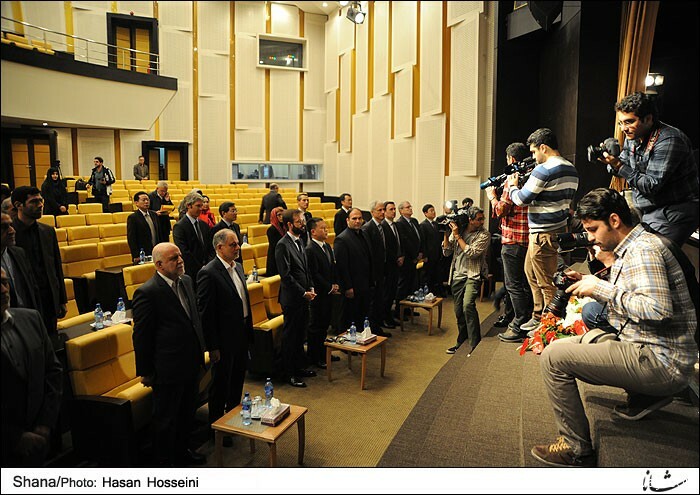 Pingback: Iran's NIOC sign deal with Russian Gazprom+Photo - IRAN This Way: Become familiar with Iranian lifestyle!